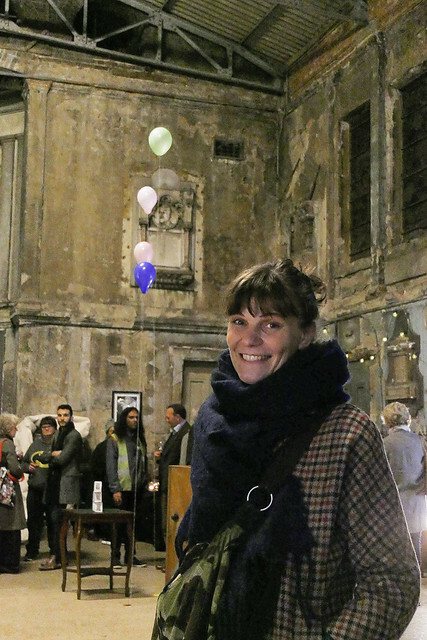 Writer/ Photographer Yang-May Ooi captures some atmospheric photos from the South London Women Artists exhibition private view. 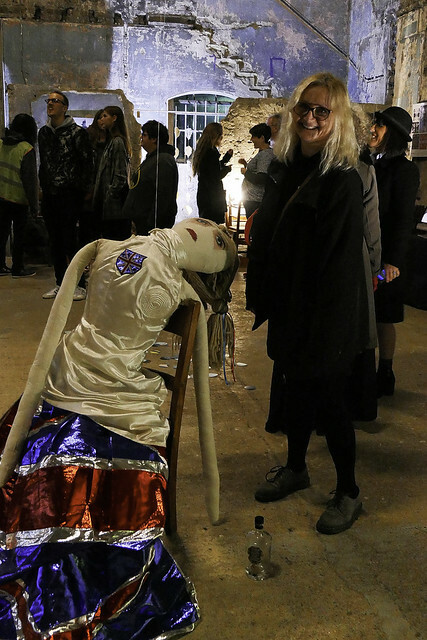 I was invited by artist Lesley O’Mara to cover the launch of the South London Women Artists (SLWA) Strong and Stable exhibition at their private view at the Asylum Chapel in Peckham the other evening around Halloween. 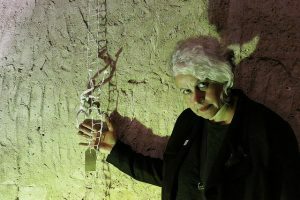 SLWA are a group of women artists who work in South London and beyond – online, through exhibitions, workshops and events. It felt very special to be their photographer for the private view evening as it gave me the chance to meet the artists and learn what inspired them to create the works exhibited that night – and also hear them talk about their techniques and working practices. 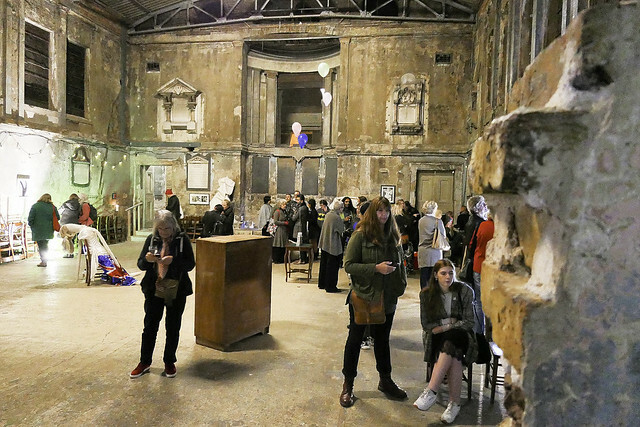 The Asylum Chapel is a unique space in Peckham, exuding character with its haunting, textured structure. 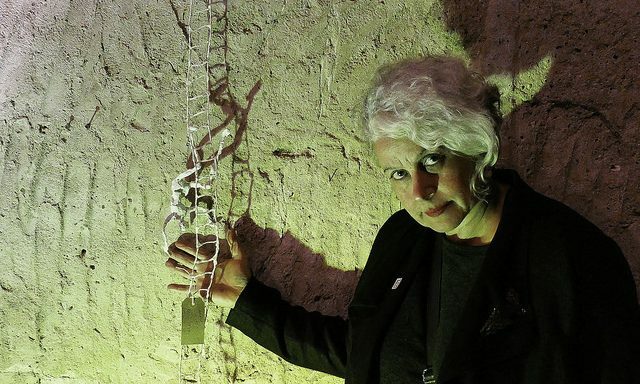 It was a challenge to photograph the artists and their guests as well as their creative work in the low light. It was also very cold and everyone was wrapped up in their coats and hats. But all that came together to make for a memorable event! Tiger Spirit Photography offers event, portrait and art photography and is a new extension to Yang-May Ooi’s videoblogging and creative services.